cheers doom, hopefully army pic jan/feb when i aim to have a basing marathon. Putting off basing now as im no longer able to attend the bonescon tournament. Planning to have a break from painting and try my first WM conversions on thursday. Mmm... Surprised to say i don't like them. 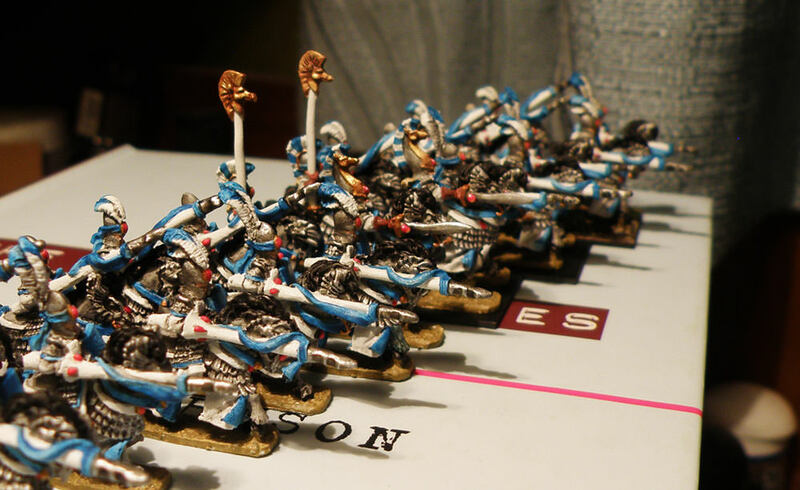 The spears are too 40K Eldarish. Looks like classical spears of the futur with the white shaft, red decorations and blue stuff. No problem Marell, I appreciate the comments. Ive got to warmaster from epic, so the eldar link is warranted. 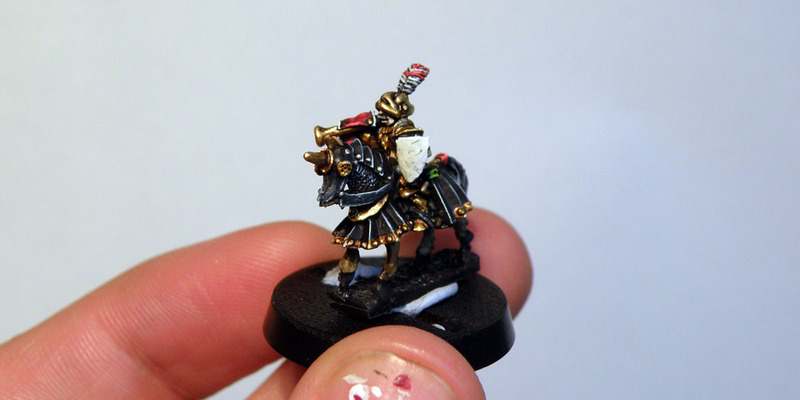 I'm looking forward to finishing and moving on from high elves – it's not my normal paint style and i'm fed up with it! But i need to get back to elves and finish them off. 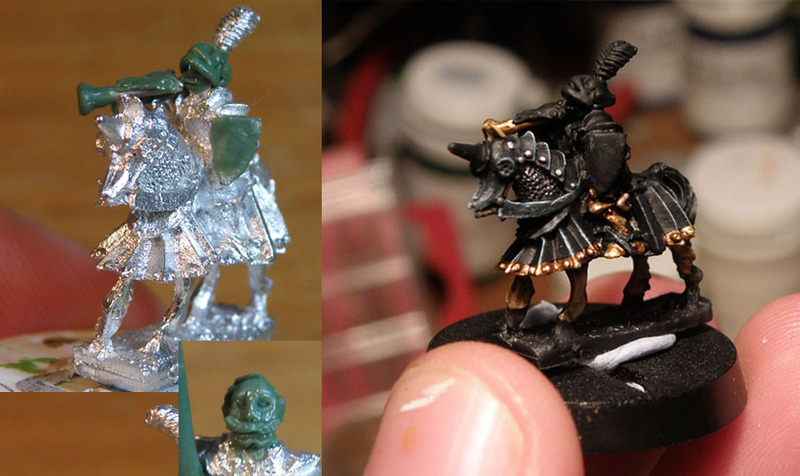 want to do 2 chariot units, 1 spears, 1 bolt thrower, 2 eagles, and heroes minimum still. Oh bloody hell that knight's inspiringly gorgeous. I thought I had a plan of what to finally paint now that I've started, and that thing makes my Warmaster tests want to jump the queue. Tutorial? Or will you just paint my army? Oh, yes, nice beard !! And the helmet is well made too. Congrats ! What will you use it for ? Just a champ in the unit ? A character ? he's just the unit musician, but the bare head is for the unit champion – Voland, for Voland's Venators. I love Voldo Ventures. And It looks like Voldo indeed ! !